The Ionian Sea caresses the most exotic and multi-award winning beaches of Greece and has a fanatic crowd of repeating visitors year after year, whether they favour Corfu at the northern side, or Zante at the southern end. The Ionian Sea islands, also called Eptanissa (seven-island complex), will delight you with their distinct beauties: the exuberant Corfu will enchant you with its ‘kadounia’ – its picturesque alleys in the Old Town - as well as with its rich culture and its vibrant nature. The recently discovered by the crowds Paxos islands will magnetize you with their long cherished secrets and their untouched territory. You will fall in love with the fluorescent indigo turquoise beaches and the traditional mountain villages of Lefkada island. The melodic - almost singing- voices of the inhabitants of Kefalonia island will stay in your memory for ever. Quiet Ithaca island will bewilder you with its multicoloured houses in the area of Vathi and, last but not least, the tourist magnet island of Zante will captivate you with its exotic, white sand beaches and its picturesque mountainous villages. Corfu island constitutes the largest of the seven islands of the Eptanissa (seven-island complex) and a single trip will not suffice to discover its numerous different faces. You will find it hard to understand what you mostly love about this island and you will just end up loving everything about it! Feast your eyes to the Venetian Old Town of Corfu with its numerous small alleys – the “kadounia” and the northwest side of the island with its preserved traditional settlements and wild beaches. Corfu island is a dream destination for Easter holidays too, since it presents a rich cultural tradition involving numerous music bands. But throughout the year too, the island offers numerous choices of musical and artistic events which are held mainly in the Town of Corfu. The diversity of beaches will please you to maximum and as regards to accommodation selections you will find an array of 5* hotels and resorts all over the island but also guest houses - especially within the town of Corfu and at the northern side of the island -. Paxos islands share their sophistication and cosmopolitanism only with exclusive visitors. With the islands being accessible in only 4 hours from Italy via catamaran, it is no surprise that their magnetizing beauties have acquired such a wide threshold. Undoubtedly, the Greek showbiz has found a perfect destination via sailing boats and fast yachts. But Paxos islands have also attracted the preference of visitors who seek a discreet and alternative getaway in the prism of peaceful nights and delightful strolls by the sea shore. The stimuli come in eternal waves as you dive in the crystal clear waters of Sarakiniko beach in Antipaxos island, as you explore the caves of Mogonisi island (a small islet accessible from Paxos island via a small bridge), while you sunbathe in the exotic beach of Voutoumi in Antipaxos island and in your evening promenades in the picturesque alleys of the main town, Gaio. 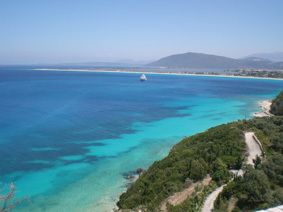 The fate of Lefkada island was dramatically altered when back in the 1950’s Aristotelis Onassis discovered the beauties of the island and bought the islet of Skorpios, immediately upgrading the island’s reputation to a world known destination. Before then, the life on the island was kept simple with common visitors from the city of Ioannina and other towns and villages of West Greece. 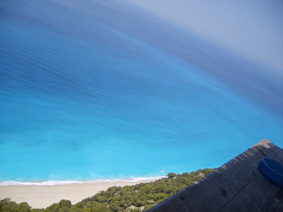 Lefkada met a period of extreme development which mainly touched its eastern side. 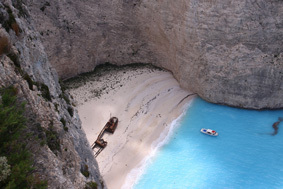 Even nowadays, the west part of the island from the Town of Lefkada to the southern cape of the island, remains untouched and demonstrates wilderness to a certain degree, thus presenting a plethora of unique, magical beaches of rare beauty. The island is so close to the sea shores of continental Greece that the crossing takes only a few minutes over a floating bridge, making it a very popular destination since a boat trip is not involved. 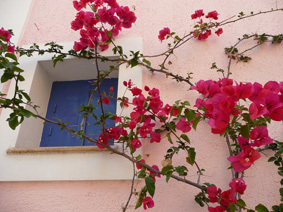 Kefalonia island has more than one ways to captivate you and make you return again and again. The island will not simply rely to its beautiful beaches. The smiling faces of the inhabitants and the wide selection of accommodation types and places to eat and visit, transform the island to a tourist magnet with a wide threshold of attraction. 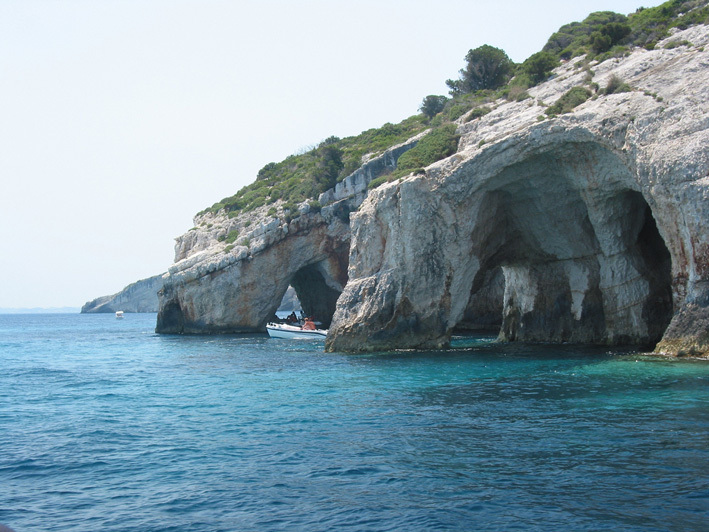 Among its most beautiful and well known beaches, we suggest you visit Argostoli, Lixouri and Asso. For quieter moments you should try the beaches of Platia Ammos, Dafnoudi and Agia Sofia. It is especially after the projection of Hollywood blockbuster “Corelli’s Mandolin’ with Nicolas Cage and Penelope Cruz that the island become wider known and preferred by other celebrities from all over the world. The island of Kefalonia offers ample fresh fish and a special wine called “rombola”. As in the rest of the Eptanissa, the Italian influence upon the island's cuisine is strongly apparent. Most visitors that choose the island of Ithaca as their destination, have been enchanted by Homer’s Odyssey and have a sole hope that they will find peace of mind here as Odysseus did when he finally returned to his land after a long and complicated adventure that lasted 20 whole years. The truth is, that the island of Ithaca is not very easily accessible. You might feel that you have to pass through a small “Odyssey”...through a voyage by bus and boat or even through airports and flight changes in order to reach it. There is a number of visitors though that do not know, or do not give all that much of importance to the island’s history. All they want is to approach it for its tranquil surroundings, its serene beaches and its small tavernas which offer fresh food and sweet wine. An island that is well organized but very negative towards mass tourism, neon signs, fast food restaurants and crazy nightlife opportunities. Undoubtedly, most settlements of the island have been listed as traditional ones where it is basically forbidden to alter the architecture and the characteristics of the housing. The main town of Vathi, presents guests with beautifully multicolored two-level old mansions, that have large windows always facing towards the sea and front yards with rich green gardens. Zante island is also referred to as “the flower of the East” and it is an island which has so much to share with the visitors that will choose it. An island with a rich cultural heritage which takes certain pride to the numerous poets that were born in its land. Zante is known for its beautiful and exotic beaches, its endless list of locally produced products and, of course, the Caretta Caretta turtles which have found ideal the eastern shores of Zante for laying their new eggs. You will love the island’s nightlife starting with a joyful promenade within the little streets of the main town towards the square of Agios Markos. The hill of Bohali is known for its hip bars overlooking the whole of Zante town.